Ever wonder what you’d do if you’re up against a wild beast in the wilderness per se? What would you use to cut stuff up in the wild? See, these are exactly the sort of things that one needs to give a deep thought about prior to setting foot in the wilderness. The first moment when you decide to go out on an adventure; you think of a survival knife in your hand. Having a survival knife isn’t the hard part. Knowing how to use it, learning how to sharpen a knife with a stone and actually trying out its various applications is what makes it tricky. There are a lot of ways that you can use a knife as. A survival knife comes in handy in almost every situation that you might face inside the woods. Some situations can be handled with ease while the others, not so much. The survival knife is an extremely elite and versatile element of a survival trip. 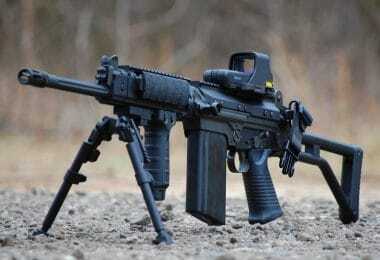 It is a weapon and a tool as well. Expert adventurers, hikers, survivalists and even trekking enthusiasts often consider the knife as the most integral part of the adventure gear. When you are out there in the forest or perhaps in a stranded island; knowing that you have a sharp survival knife dangling around your waist boosts your confidence by itself. You must be wondering as to what the uses of a knife in the wilderness are. What makes the knife so versatile? Well, as I mentioned earlier it finds a lot of applications whether as a tool or perhaps as a weapon; you can get a bunch of stuff happening simply by using the knife. Digging up: A lot of times in the wilderness, you might find yourself in a dire need to dig up some earth. 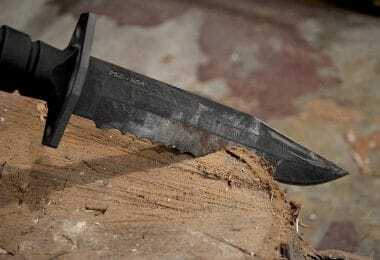 Whether it is to send a distress signal, excavating fire pits, or disposing waste; a survival knife can easily be used for the purpose of digging. Weapon: If you’re looking to notch up your survival game, a sharp knife can help you take down prey or even catch fish too. 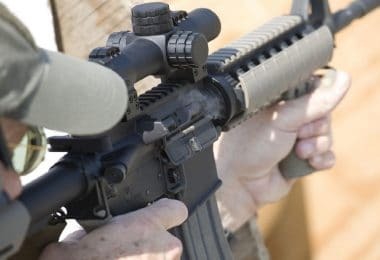 It is known to be the ultimate emergency weapon of choice for most hikers. Splitting Wood: Batoning, the art of splitting wood with a huge sharpened knife. You can chop saplings or split wood as per your need be it for fire purposes or shelter making; the knife is what will make it possible for you. First Aid: I know what you’re thinking, how can a knife be used as a first aid. Well, we know that a sharp knife cuts. So we can use a sharpened knife to cut bandages, draining blisters etc. If you are heading out on a survival run, what sort of knife would you prefer carrying out along with you? Would it be a small one or perhaps a large one? Is a folding knife your type of thing or a standard survival knife is what you prefer? For someone who is about to experience the wilderness, you should expect anything to happen when you are out there by yourself. Having the right knife along with you will prove to be extremely crucial for your survival as well. 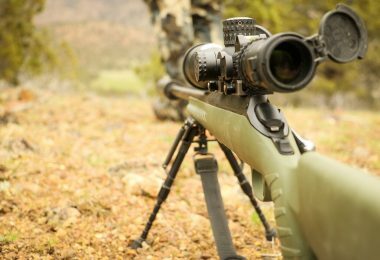 Before you finalize on a knife, you should first learn to compare between the various types of knives available for extreme wilderness situations. Consider the following things before opting for a knife. The design of the blade: In case you are faced with an unforeseen animal danger, you would simply love to have a long sharpened knife to slice and dice. 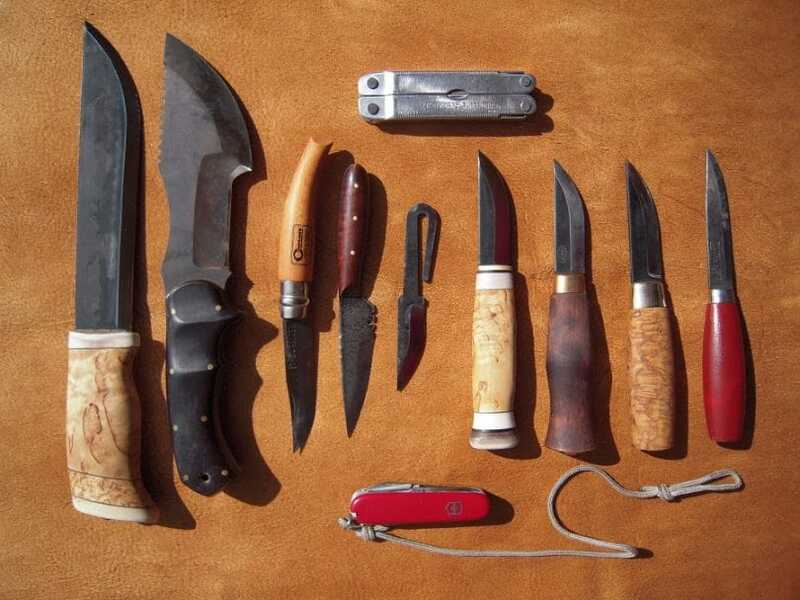 For survival purposes, the best choice of blade designs as recommended would be the spear point, the drop point, and the clip point. Fixed or folding blade: A pocket knife or a folding knife perhaps is very much as good a choice as a fixed knife. However, there is one small issue that comes with a folding knife and that is the fact that the folding joint acts as one additional point of breakage which is not the case with a fixed knife. Edge of the Blade: Knives are designed for carried purposes; you need to think in prior as to what you want the knife to be used for during your survival days. Length: A typical 8 inch or a 10-inch blade is a very good choice for chopping and splitting wood as it is firm and heavy too. Choosing a length between 6 inches or 7.5 inches is a very good decision as well. Blade material: The type of steel being used in the blade making is a very important factor since the cutting will depend on how good the steel strength is. The two types of steel that are typically used to manufacture knives vary with respect to the amount of chromium it contains. It is always advised to carry a knife sharpening kit along when leaving for an outdoor adventure trip. However, there is always a possibility of not having a sharpening kit in the wilderness. Whether it is lost, forgotten or perhaps misplaced; you will find it ridiculously hard to get going. But don’t fret! 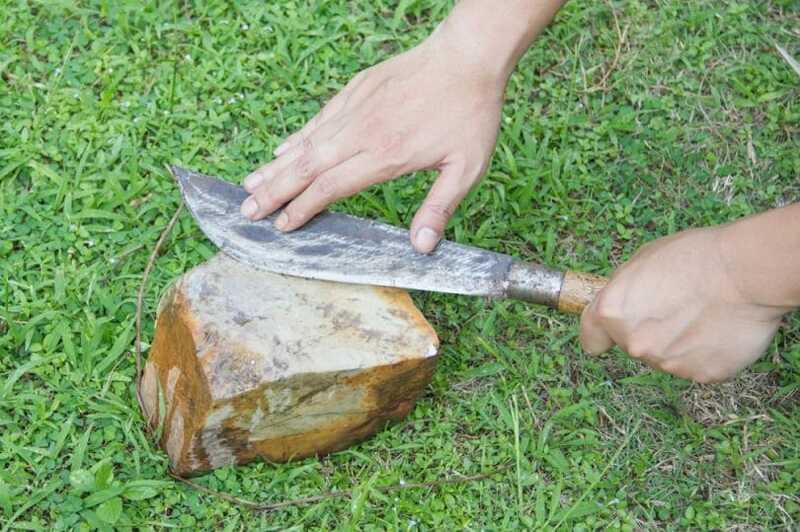 The following is a set of methods that will help you sharpen your knife by merely using a rock or a stone. Once you’ve mastered the technique, your knife will never be blunt again. The art of sharpening knife with a stone or a rock is a very crucial skill that must be acquired by adventurers and survivalists. It always proves vital in extreme cases when you’re running out of supplies or need yourself some defence against the wilderness. 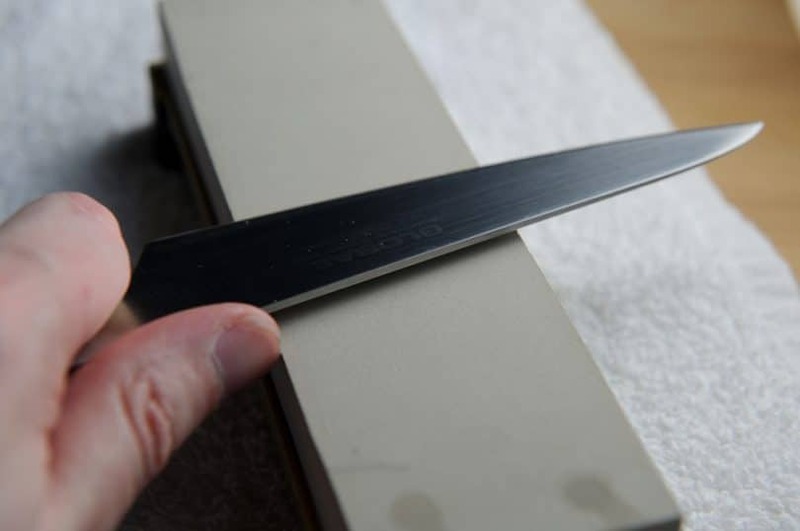 The following is a method to describe the traditional method for sharpening a knife with a stone. The stone being referred to here that can be used for sharpening is a fine-grained one, a stone typically round in shape and is found in the local waterway. You need to pick one of those stones that have a smoother surface yet course enough to do the sharpening. 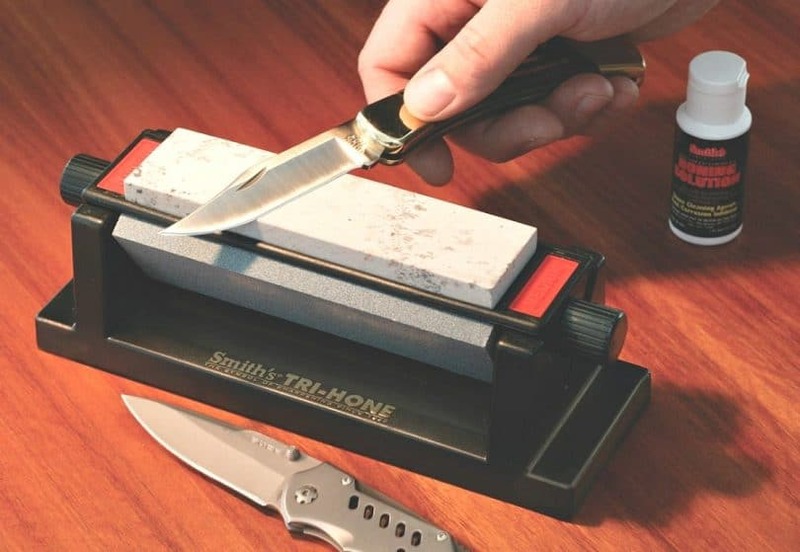 These stones aren’t your typical sharpening whetstones. You need to pick the stone from the waterway that resembles your traditional sharpening whetstone. After having found the right type of stone, try to survey your stone carefully and determine the amount or depth of the damage that your knife is in. You need to test the edge of your knife. You can do so by attempting to cut a paper or perhaps a rope to check how functional your knife currently is. Figure out the chipped edges or the nicks that exist which won’t allow the knife to cut all too well. To begin sharpening your knife with a stone, you have to apply some amount of water to the stone. Begin sharpening your knife by evenly distributed circular strokes on top of the stone. The strokes must be same for both sides of the blade. To give you an idea of how many such strokes are needed; a typical 4-inch survival knife requires 30 circular strokes on each of the sides to get sharpened entirely. Keep rinsing your stone while sharpening. This will provide more surface area for the knife to sharpen and will also be able to cut through steel as well. Once you’re satisfied with the sharpness, try and eliminate any burrs, uneven edges or polished surfaces by rubbing it against a leather belt or a log. Test the sharpness of your knife on a carving or a log of wood. Your survival knife should be ready. 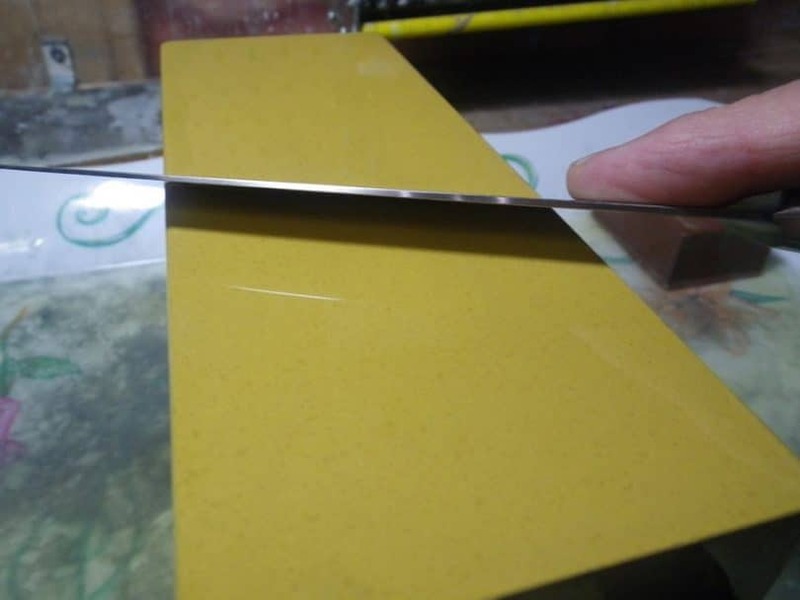 How to sharpen a knife with a whetstone? This is probably the easiest and the most versatile technique that can be used to sharpen almost anything and everything whether it is a pocket knife, fixed knife or lint; you can sharpen it all with ease. Begin your sharpening by cleaning your knife carefully. Wipe the steel of the blade clean with a few drops of 3 in 1 oil. You have to be prepared to get your hands dirty. The reason for the cleansing is to avoid any dirt from settling in the whetstone. In case it is a folding knife, you might want to throw some oil around the hinges and folds too. Prepping the whetstone is the second step of the process. Place the whetstone on a bench top or any rough and hard surface so that it doesn’t move. Apply some oil, honing oil on the coarser side of the whetstone such that it gets absorbed for a while before you begin to start sharpening. Wipe your blade up and clean up the stone too. Rub the blade along the edges to remove any burr formation on the edges. How to sharpen a knife with a Japanese water stone? In order to successfully carry out a knife sharpening operation with a whetstone, the following is a set of requirements that you need to check prior to getting started. You’ll require a Japanese Water stone. You’ll also require a holder for that Japanese water stone and a towel of some sort as well. Once you’ve gathered the right items, you’re ready to go. Just ensure that there are no distractions around since you’re dealing with the sharpening of a knife and it might get dangerous if you lose attention. Learn the angles properly. Ensure to grip the knife firmly not tight enough like a death grip. Place your index finger along the length of the knife to get a much better hold. The trick is to be able to move the knife along the stone without getting stuck. You’ll eventually realize that it doesn‘t matter if the angle is 20 or 15 degrees. The angles are only references, to begin with. If you have a marker with you, mark the edges of the knife carefully with it. This trick is used by many professionals while sharpening a knife. The idea is to rub the knife on the stone until the marker line disappears. Keep stroking and rubbing the knife against the stone over and over again until you’ve sharpened it enough. Eliminate any burr or broken edges by rubbing it against a leather belt much like the previous method of sharpening a knife with a stone. The final stage of the sharpening is simply putting a little amount of pressure and running it down the stone a few times. Just simply and easy trailing strokes will do. A critical aspect of this method of sharpening a knife with a water stone is the application of pressure. Without the right amount of pressure, the knife won’t be sharpened quickly or perhaps won’t be sharpened at all. As you are applying pressure in one direction, you need to slowly set go of pressure in the other direction. You can also read our tips on how to sharpen a pocket knife for more information. It totally takes about 15 to 20 minutes of rubbing to sharpen a knife with a Japanese water stone. However, it may take a bit longer depending on how long you take to raise the burr. Do you need to count the number of strokes while doing it? Well, you may if you wish to but after one point of time it will get extremely boring. I’d rather recommend going with the natural flow so that you grind both sides equally. Keep a track of time if not precisely. Do not grind one side of the knife for 7 minutes and the other one for 2 minutes. Try and grind both sides for an equal amount of time. Visual checks are yet another way to see if your knife is sharpened and ready to be used. Try to opt for a knife that has a flat grind over one that has a sabre grind. A flat grind is honed to a much finer edge than a sabre grind. Partial construction if avoided is alright since most popular knives are designed based on full tang construction. Never choose a knife with a poor grip. Considering that you will be using the knife in survival scenarios, the last thing that you want is for the knife to slip out of your hand and wound yourself. Try to purchase a survival knife with fibre reinforced the material. There are quite a few things to consider before you truly pick a knife and begin to sharpen it. Instead of thinking of a knife as another item to carry for safety, think of it as another tool that you’ll require completing your trip. Without the right knife, it is almost certain that you won’t be able to go too far in your adventure. Grab a knife that ergonomically suits you and think of the tasks that you require the knife for while you’re out there in the wilderness. As you’ve already realized by now, sharpening a seasoned knife is sort of a tricky task. In order to truly make it work, never choose a knife that isn’t suitable for you. Choosing an unsuitable knife makes it even harder to sharpen it after several uses. 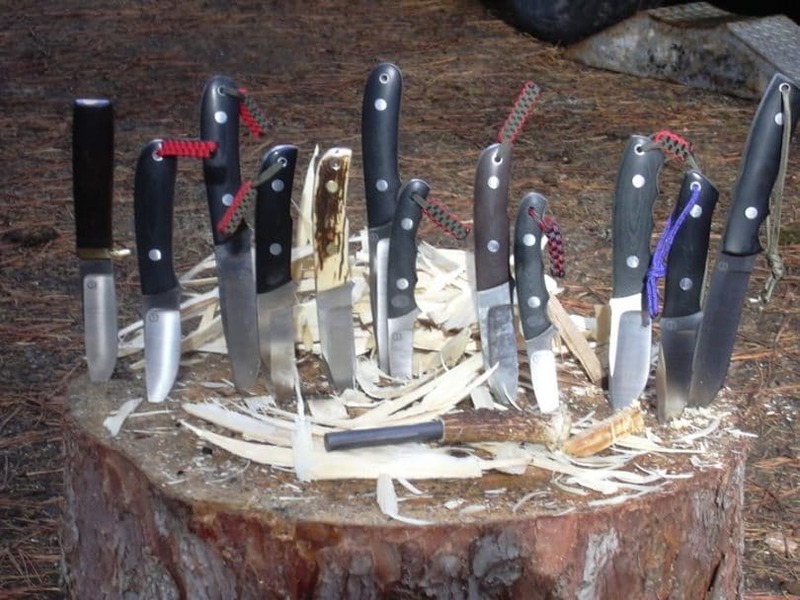 Experts advise adventurers to hone the skills of sharpening blades with stones and practice these skills numerous times prior to heading out to the wilderness. These skills will enable you to tackle some of the most critical scenarios in the wild whether it is hunting, chopping, slicing, grinding or even cutting; sharpening a knife with a stone is extremely a very important skill to master. 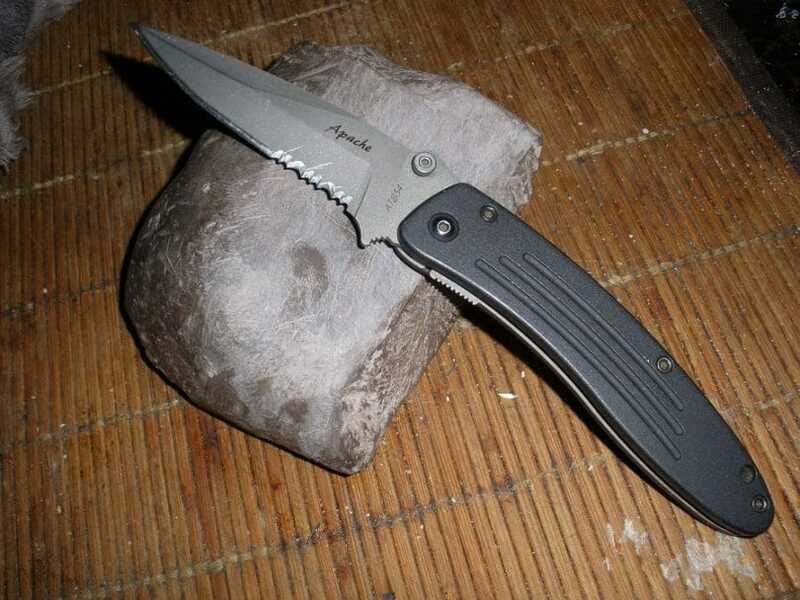 Do check out our expert review of the best camping knife for your reference.